The world’s most populated capital, Beijing is as enigmatic as it is divisive. 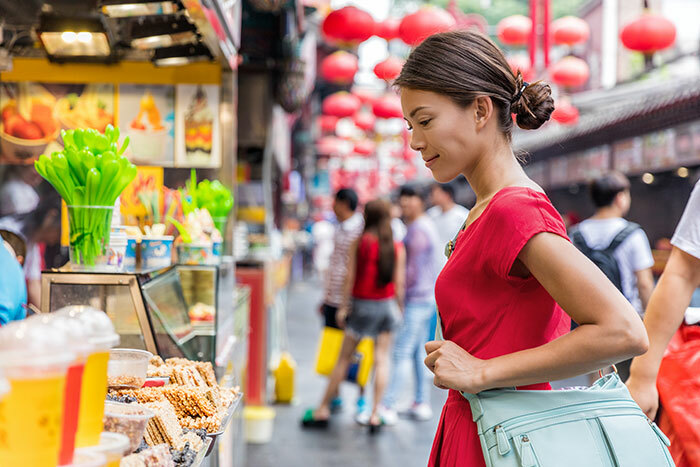 For many first-time visitors to China, the beauty of the city – which most often forms a gateway to the adventure – is often not fully realised, and understandably so; as travel-wary visitors wrestle with a sometimes overwhelming bustle of humanity. Location is always key, especially when time is limited. With this in mind, the central street of Wangfujing and its immediate surroundings of the inner Dongcheng District can’t be beaten; putting visitors within a stone’s throw of the Forbidden City and Beijing’s centre. That being said, Wangfujing is often utilised by domestic and foreign visitors alike as a shopping mecca, albeit one where malls of household western names are found, rather than more traditional markets or vendors. The sheer volume of people, at times, can be overwhelming, and reminiscent of a popular Chinese idiom which translates approximately to ‘people mountain, people sea’. But like any metropolis of its size, Beijing is the product of dozens of districts all melting into one and, with such a vast and effective transport system, it’s easy to get around – no matter where you stay. As an alternative, just a 30-minute walk or short subway ride away from the northern reaches of Wangfujing lies both traditional and more western-style accommodations within the city’s incredible hutongs. Traditional courtyard, single-room family residences line these often narrow alleyways, making them the iconic image of preserved Beijing life. Getting lost within their reaches is a truly unforgettable experience. That’s not to say, though, that it’s purely a lesson in history. While Beijing wrestles with its evolving identity and culture in the 21st century, generations-old families live in amongst the artist studios, restaurants and businesses of a younger, entrepreneurial generation as well as an older one preserving their crafts. Nanluoguxiang, which stretches directly north from the subway station of the same name, is a great example of this. 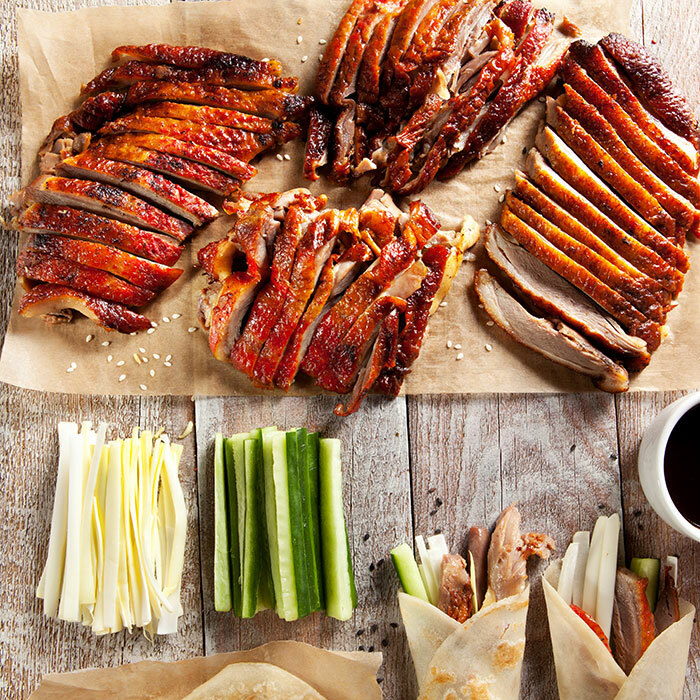 While feasts in the city’s best-known culinary locations are often high on the agenda – like the Peking duck restaurants of the Forbidden City’s surrounds and the fusion foods of Sanlitun’s western district – dining in Beijing is a unique experience in which the greatest treasures are found only once you surrender to becoming truly lost in the flavours. 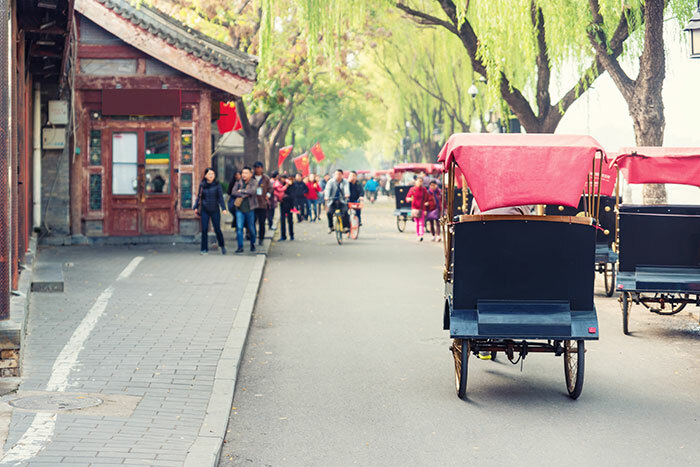 To truly fulfill this brief, and to experience the place that Beijingers go to eat, a mesmerising wander along Gui Jie Street, often known colloquiallyas ‘Ghost Street’, awaits. Take the subway or a taxi to the transport hub of Dongzhimen Station and walk directly west. Here you'll find over 100 restaurants with a mile, showcasing the city's culinary diversity. Scores of locals await available tables – while sat on seas of stools lining the pavements – while waiters scramble to serve beer and bowls of sunflower seed, to the often near-party atmosphere outside. The adventure doesn’t end there. At the doors of many comes a refreshing end to yourcomfort zone, as a menu in English is no guarantee. Instead, throw caution the wind and try your hand at ordering from the pictorial guides lining the walls, and enjoy everything from traditional hot pot, to the hand-pulled noodles of Shaanxi and the sizzling spices of Sichuan. After eating, continue west through Beixinqiao and into Beijing’s hipster streets of Gulou, for a post-dinner drink and dessert in a courtyard-lined coffee shop. For many, time in the country’s capital is short, and with so much of Beijing to see and explore, it’s easy to be unsure about where to begin. 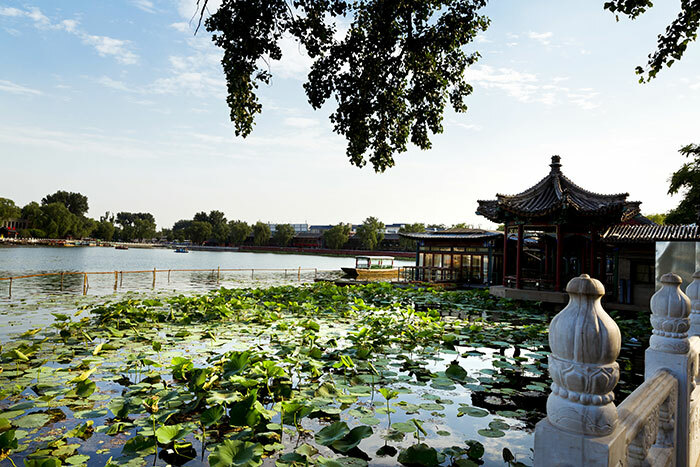 When entering the Forbidden City’s former imperial palace walls, take a different angle from which to witness a first beautiful glimpse: visit the neighbouring gardens of Jingshan Park, taking a leisurely climb to a pagoda upon its central hill, and witness the breathtaking sight from above in all its glory. Most importantly, you can take in the views whilst in the midst of elderly locals dancing, singing and forming haunting choirs, with hymn-like songs that celebrate their creative freedom from the country’s so-called Cultural Revolution of the 1970s. Take a subway ride to Shichahai Station and explore the lake complex of the same name, and in particular its largest, Houhai Lake. Explore its banks, local bars and restaurants with nightly live music, and watch locals who famously take a dip 365 days a year; particularly impressive in winter, as the lake freezes over and forms the most spectacular winter playground of ice skating and ice biking. 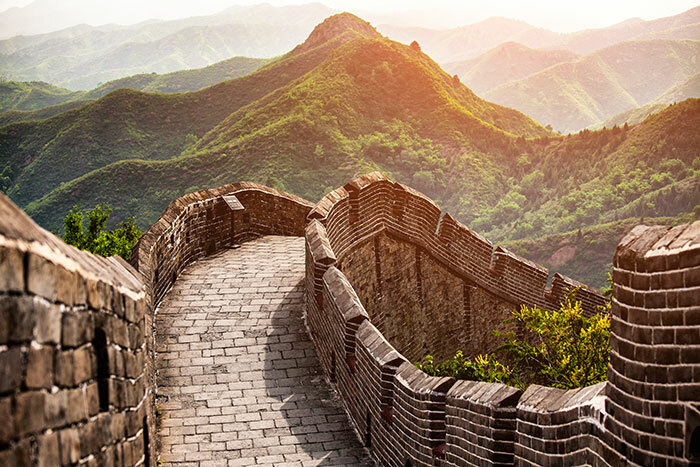 Embark on an adventure at The Great Wall of China. While sections such as Badaling or Mutianyu are easily accessible and ideal if you're short on time, the crowds can be overwhelming. Instead, hire a guide and take a three or four-day hike from Jinshanling to Gubeikou. In doing so, you'll take a literal walk through history, from the relatively well-restored brickwork of the former to the rugged and beautifully untouched Ming dynasty watchtowers of Gubeikou. Finally, spend an evening in Beijing at the majestic and moving Chaoyang Theatre Flying Acrobatics Show. A constantly evolving masterpiece of acrobatics history, the almost unnerving discipline and commitment of its performers are more than just a physical performance; it’s a window into the evolution of a nation, and a bridge from its culture to the outside world. 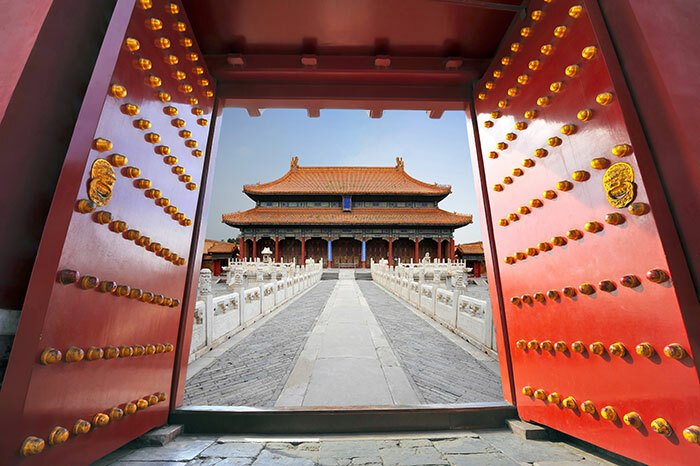 Check out our range of tailor-made holidays to Beijing and China. London-based wanderer working in travel, committed to the pursuit of unlikely adventures, type two fun and mediocre Sushi buffets. Visit www.torunwithgiants.com.